Some say that weddings and children are not a good combination, but I disagree. I think children, who are usually a result of a loving relationship, should be allowed to be a part of weddings, which are a celebration of love. 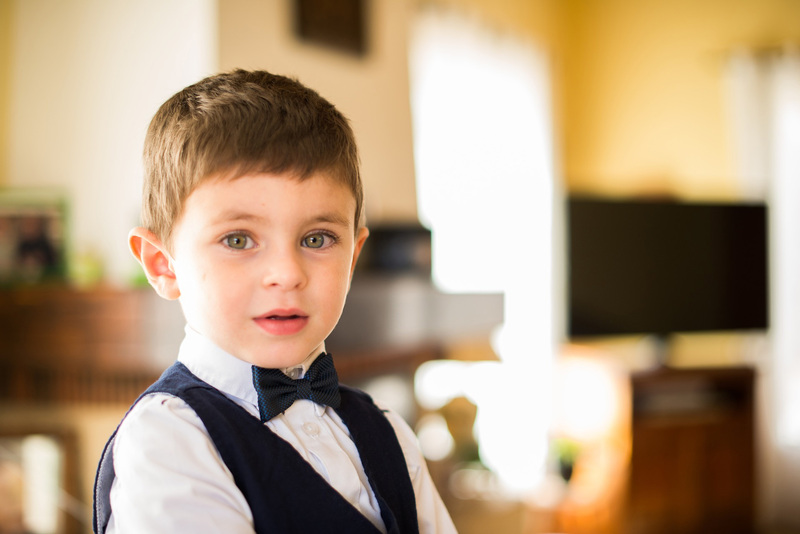 Though, it is the parents of the children’s responsibility to ensure that the kids behave on this very special day and do not disturb the wedding in any way. How do you do that when your kids are very young, say toddler-age? Pack a little bag for your toddler with some new small (quiet) toys and books that can keep them entertained throughout the day. Weddings can be quite long so it’s important that you have enough to keep them happy and focused. Also pack some mess-free snacks and a bottle of water for them. Ceremony tricks Sit at the very back or closest to the exit so that you can easily pop out if you need to. If your child needs the toilet or starts fussing, just pop out with them to ensure they don’t disturb the ceremony. We sat at the very back and let our toddler play on a Peppa Pig drawing app on my phone and I held our sleeping baby, ready to settle her if needed. Make sure you take opportunity you have to take your child to the toilet or change their nappy, give them a snack, let them run around etc. to ensure that they don’t desperately need the toilet or are itching to run around during the few times of the wedding that they actually need to sit still and be quiet. The same goes for napping. 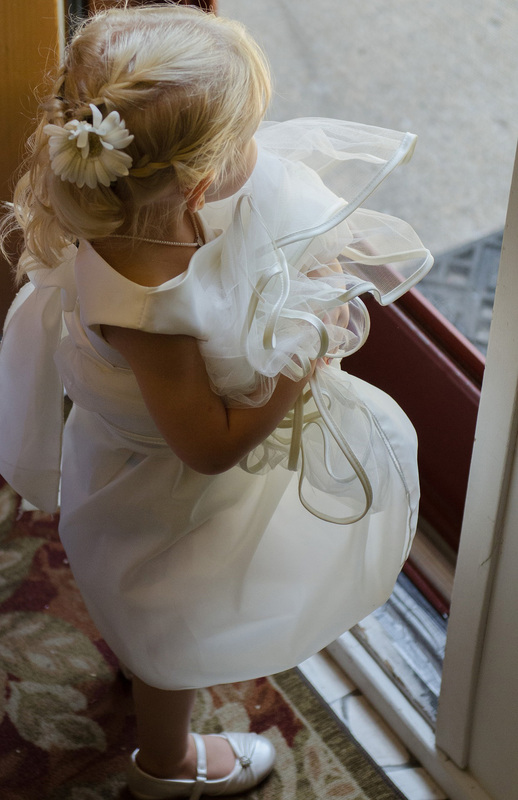 If your child still naps, plan the naps around the wedding schedule, even if this means getting up earlier in the morning to ensure a nap in the car on the way to the wedding. Meal Time The wedding meal is usually a more relaxed affair, but you probably still need to keep your child sat in their chair for a bit longer than they’re used to and keep them calm during the speeches. Small toys are great to play with at the table and you can always let them watch their favourite show on your phone – even if it’s on mute, most kids will still enjoy it! If you have a picky eater (like we do), I would also pack some little snacks that you know they’ll eat if they don’t like the food that’s served. If you as the parents are relaxed about the whole thing, your children are more likely to be calm and happy. Your mood quickly rubs off on your kids, so try to be calm and happy and hopefully your kids will be too. somewhere comfortable to retire to when it’s time for the kids to go to bed. We did this, and I took our children to bed and my husband stayed at the wedding. You can of course take turns too if you wish but I was breastfeeding at the time, so it was the best choice for us. Previous Post The Style Breakdown of the Biggest UK Event of The Year: The Royal Wedding! Next Post Tackling the Five-Year Interior Itch!